"Today’s system of water management, developed in previous times for past conditions, is leading the state down a path of environmental and economic deterioration. We’re waiting for the next drought, flood, or lawsuit to bring catastrophe,” says Ellen Hanak, senior fellow at the Public Policy Institute of California and co-author of the new report Managing California's Water. 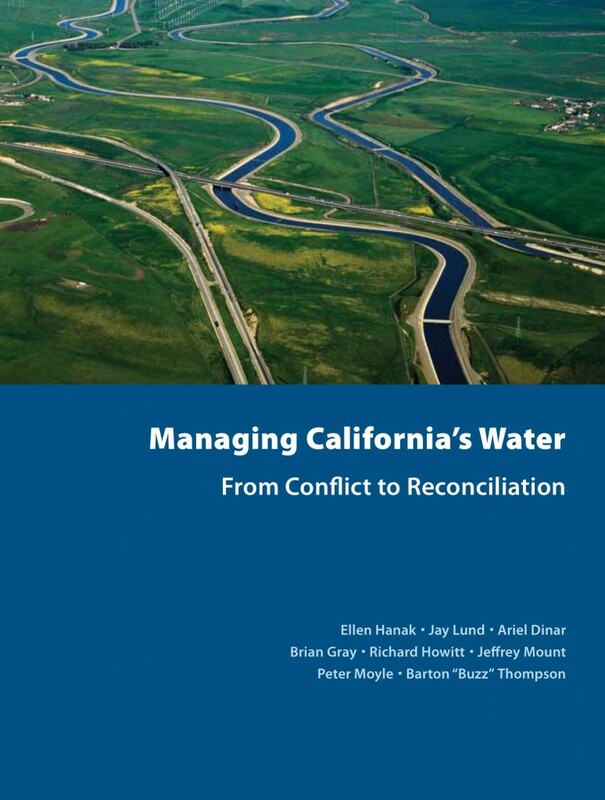 "But if we take bold steps now, we can move from an era of conflict to one of reconciliation, where water is managed more flexibly and comprehensively, to benefit both the economy and the environment.” Click on the cover to be taken to the report.